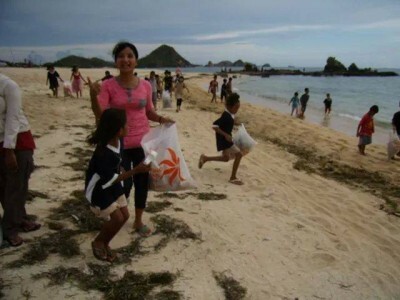 This project was carried out in cooperation with the non-profit Lombok Kids Foundation. They already owned some English books. Update: This Eco-Education Center had to be moved to a different location, because the Center manager couldn’t find enough time to run the Eco-Education Center. The books have been moved to Kalibul.